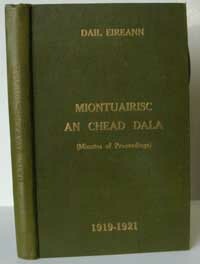 This fascinating and extremely valuable historical document, presented in Irish and English and extending to 292 printed pages, is an historical record of the initial hopes and aspirations of the founders of the first Dail. I.O. (C J C Street), The Administration of Ireland 1920, 1921. Having access to all the security and intelligence information gathered in Dublin Castle, this is a thorough account of the Irish War of Independence written by a participant and observer of events from a British stand point. This is an exceptional resource for the study and location of the doomed Armada ships off the Irish coast. John Smith’s Irish Diamonds; or, a theory of Irish Wit & Blunders: Combined with other kindred subjects. Containing some 194 printed pages John Smith’s publication is less offensive and more amusing to a contemporary readership than it would initially appear. There are also four new British titles in this newsletter: Kelly’s Directory of Kent, 1903; Little Saxham Parish Registers 1559-1850, 1901; Andrew Lang and John Lang (with illustrations by Hugh Thompson), Highways and Byways in the Border, 1913 and James Edmund Vincent (with illustrations by Federick L Griggs) Highways and Byways in Berkshire, 1906. The National College of Art and Design (NCAD) has launched a new exhibition, Document! A curated selection of visual arts documentation from the National Visual Arts Library (NIVAL) which runs until May 26th. This exhibition contains a selection of works from the collections, including the Irish Exhibition of Living Art (IELA) which is even more poignant since the recent death of artist Louis Le Brocquy. 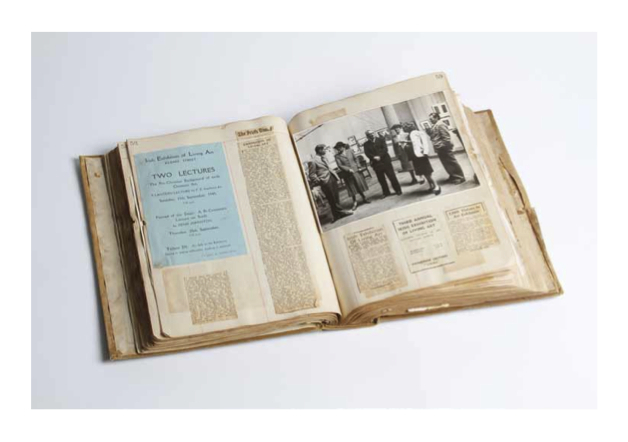 Eneclann archived the documents attached to the Irish Exhibition of Living Art, which are now held in the National Visual Arts Library. You can read more about this project on the Eneclann website. Eneclann provided advice on the database for the website CIRCLE: a calendar of Irish chancery letters, c. 1244-1509. CIRCLE offers users an accessible and accurate summary in English of letters that were issued under the great seal of Ireland and enrolled in the Irish chancery rolls between the reigns of Henry III and Henry VII. The original rolls of the Irish chancery were destroyed in 1922 so this website is an invaluable source for historians. The official launch is May 10 in Trinity College Dublin. You can read more about the launch and the project by following the project on Facebook or by visiting the website. We have two counties for you this newsletter! Both Cavan and Monaghan are covered by Pigot’s, Slater’s and Henderson’s Ulster Provincial Directories, going back as far as 1824. Bailieborough Poor Law Union in County Cavan is included inthe Agricultural Labourer Part 3and Castleblayney and Clones Poor Law Unions in County Monaghan are documented in Part 1. These publications provide vital insight into the social and economic conditions of the country as it approached the 20th century. 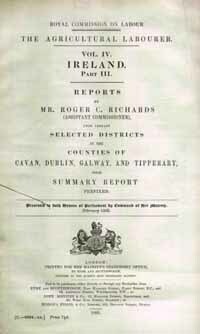 Cavan is also one of the counties surveyed by the Royal Dublin Society in 1802. The Statistical Survey of Cavancontains a lot of local information, with a particular emphasis on agricultural issues. Wherever your ancestors come from in Ireland, Counties in Timeis an excellent resource. The CD introduces a sample of the records held in the National Archives of Ireland. The records chosen exist, in nearly all cases, for the 32 counties of Ireland (including Cavan and Monaghan), and cover the period from the late sixteenth century to the mid-twentieth century. View our full range of Cavan titlesand Monaghan titles.